The team at OFM, Inc. is at it again. If you're looking to create a custom office interior that's up to date with the latest trends, their Fulcrum series is definitely worth serious consideration. This hot new line offers the modular components needed to maximize your available square footage while simultaneously kicking corporate appeal into overdrive. Even at first glance, the furniture from the OFM Fulcrum collection will wow you. 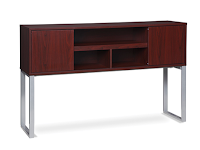 This line of executive style writing desks, file cabinets, and hutch units is full loaded and ready for the demands of the modern workplace while keying in on some really unique rustic vibes that are hard to beat. 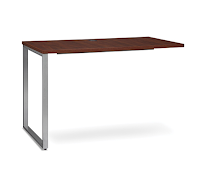 Fulcrum desks boast sharp lines that make for well rounded office interiors with unrivaled structure. The open concept feel of these writing desks will make your workspace feel larger and more upscale than it ever has before. With lots of open knee space, you'll have plenty of room for computer accessories. You'll also love the wire management cutouts found atop the surface of all Fulcrum desks. While we like the idea of using writing desks with laptops, you can still operate with a traditional desktop computer with ease thanks to these handy grommets. These days it's all about modular versatility. It's for this reason that the Fulcrum collection is in a league of its own. With an array of connecting bridges, return shells, and metal leg credenzas you can really get creative with your layout. The Fulcrum collection is great for both home and professional workplace applications. All of the components from this best selling office line are available in 4 attractive finish options that work great for retro, contemporary, and industrial design themes. They say no professional interior is complete without the storage components needed to stay well organized. Again, the Fulcrum series exceeds expectations. This soon to be best selling line offers overhead hutch units in 3 sizes, a two-drawer lateral file cabinet and pedestals to meet your specific needs. We can't say enough good things about the Fulcrum series. This innovative OFM furniture line keys in on today's most popular trends and won't cost you a small fortune. The attention to detail is evident from every angle with optional leg inserts, modesty panels, and attractive handle pulls. Competing brands have been put on notice. OFM has a winner on their hands with the Fulcrum collection. We can't say enough good things about the team at MooreCo. The level of quality and commitment displayed by this innovative brand is second to none. MooreCo products combine high end appeal and modern ergonomic qualities that lead to continuous movement in the workplace, improved comfort, and so much more. Enjoy this write-up on their coolest products! You'll be at no shortage of tables to consider for your classroom and training room makeover projects. What sets MooreCo tables apart is their ability to raise and lower at will. With height adjustable training room tables from MooreCo you can create clean sight lines while simultaneously allowing your valued students and employees to enjoy the health benefits associated with stand up operating. 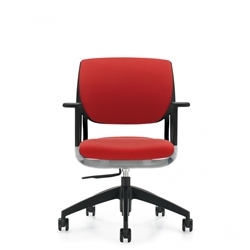 If you're tired of the same old office chair styles, MooreCo has you covered. 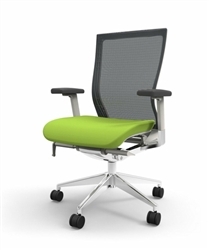 Popular seating solutions like the Fly, Ergo Ex, Butterfly, and Renew are ready, willing, and able to revamp your interiors while encouraging the good posture habits needed to keep you productive. MooreCo chairs are extremely well made, surprisingly affordable, and ultra comfortable. They even offer some really great options for big and tall chair operators. Ergonomic leaning stools are the latest craze. They provide added support for workers when operating at standing height surfaces. 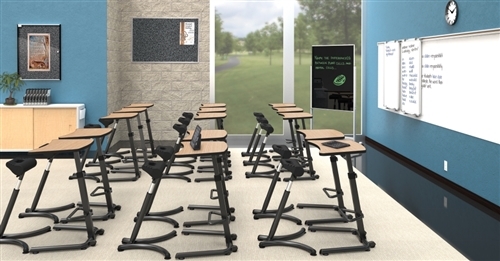 Best selling leaning stools from MooreCo like the Up-Rite are great for school classrooms and professional training applications. They're rugged, easy to clean, and modern enough to enhance your interiors without overpowering your furniture. If you're looking to create active office interiors, an ergonomic leaning stool for stand up operating is a must consider. Wall mounted chalk boards are a bit old school. Folding presentation boards don't really provide a lot of surface space. What's the solution you ask? A versatile marker board on wheels from MooreCo. They offer more than 20 popular options to consider in cool color options like red, green, and even black! MooreCo dry erase boards are available with magnetic surfaces that make them a cut above the other options on the market today. They're easy transport from space to space where creative work is taking place. 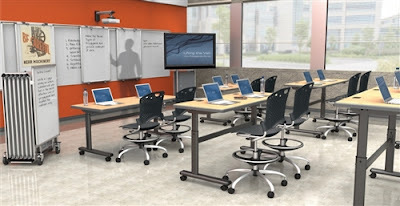 Last but not least, MooreCo crafts incredibly cool and equally functional collaborative desks for training, work floor, and classroom applications. Their modular workstations from the Shapes, Creator, and Cloud 9 lines encourage creativity. 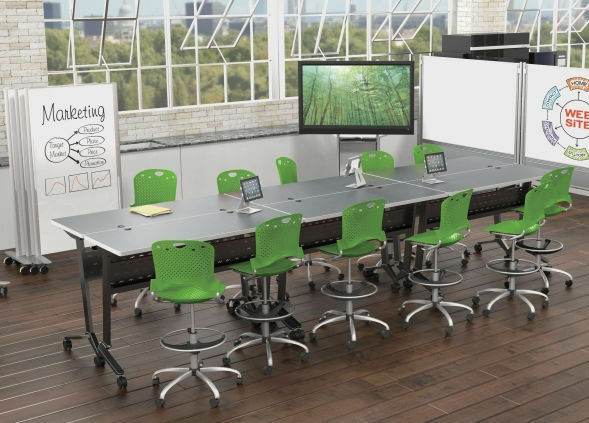 If you like the idea of your employees working in groups to get the good ideas flowing, MooreCo collaborative workstations are the way to go. They're available in a variety of sizes, shapes, and finish options to meet your specific operational needs and square footage requirements. 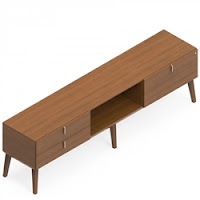 The mid century modern movement is in full swing! Thanks to collections like Corby from Global, creating mid century inspired interiors is easier than ever. 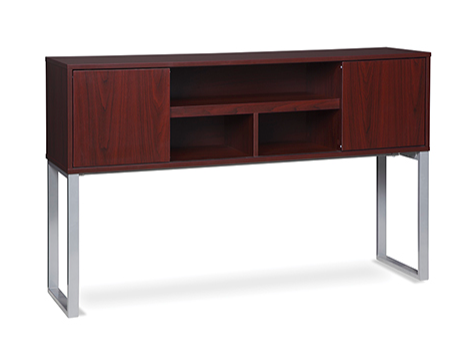 This luxurious line of writing desks, cabinets, and tables provides unrivaled quality. Today in our 'Product Showcase' series we'll take a look at our favorite components from this hot line. First things first, it's important to note that the upscale furnishings from the Corby collection probably aren't the best bet for shoppers on a budget. 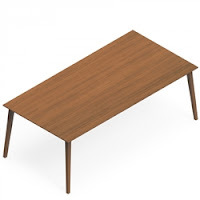 Corby desk configurations are definitely expensive and intended for use in high end applications. 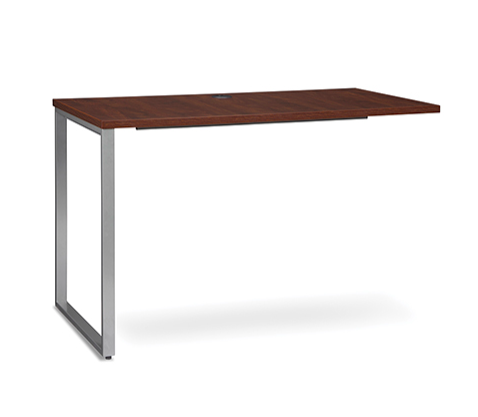 The desks from this popular office furniture series are spacious, attractive, and incredibly well made. Popular options like the CBYRT6632 boast veneer surfaces composed of solid walnut, cherry, oak and maple that band edge tops 1/8" wide by 3/4" thick for an overall thickness of 1 3/8". Corby series tables are perfect for collaborating. 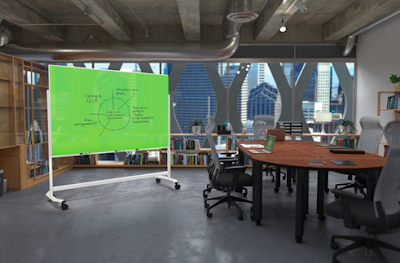 They'll help to refine your group work environments like the conference room, boardroom, and training room. Corby tables are available in a variety of lengths to meet your specific needs. The array of storage components set this mid century furniture collection apart from anything on the market today. 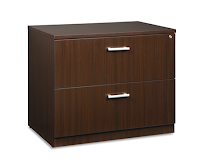 Corby cabinets are perfect for office welcoming areas, private workspaces, and conference rooms. A Corby cabinet like the CBYC20HB can be effectively used to refine your interior. This cabinet and its counter parts are ready, willing, and able to serve as the statement piece you need to wow valued visitors. Limited on space? No problem. The Corby office furniture series also offers smaller wall cabinets to meet your needs. Options like the CBYP9HB provide a nice combination of open display space and secure organizing space to keep your belongings and important documents protected. 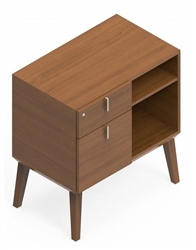 This mid century furniture collection also offers designer accent tables for the lobby, lounge, and waiting room. 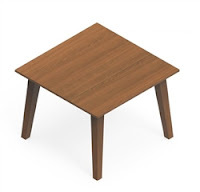 Corby coffee tables and end tables are upscale and luxurious while remaining practical. With more than 15 finishes to choose from, Corby is rapidly becoming a preferred choice of interior design teams around the globe. In terms of quality and versatility, Corby is unmatched. This line of mid century furnishings from Global is right on par with 2018's hottest remodeling trends. With modular capabilities and a huge lineup of interchangeable components, Corby is ready to help you craft the interior of your dreams. 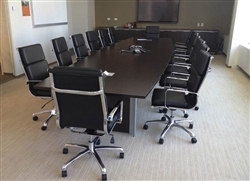 While expensive, those who can swing the investment will be highly rewarded with some of the most high quality office furniture we've ever come across. If you're a millennial, you're in the right place. We know how much you guys love the latest and greatest office chairs, and today we'll be showing you the hottest ones on the market. Here you'll see cutting edge seating solutions from industry innovators like Modway, Global, and MooreCo that are guaranteed to rock your remodeling projects while simultaneously providing you with the ergonomic features you need to be at your best. First up is the Pillow chair. Even at first glance you'll see how this modern office chair got its name. The barrel shaped cushions that line the seat and back make for a unique look that's sure to turn heads. This bold ergonomic chair is also very comfortable and ready to help any millennial enjoy posture perfect work days. The all new 6402 Novello chair from Global was designed by Alessandro Piretti. This completely customizable chair makes it easy to personalize any interior without sacrificing comfort. 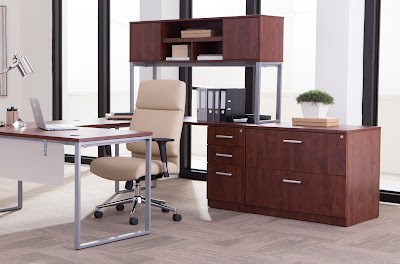 The Novello is an excellent option for work floor and conference room applications. 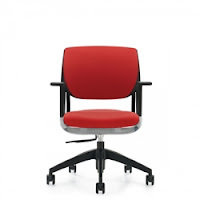 MooreCo office chairs are distinctively modern and equally comfortable. Take one sit in their 34729 Butterfly chair and you'll quickly see what we mean. This high back ergonomic chair for an executive office is definitely a bit pricey for the average millennial. That being said, the chair itself is anything but average. This cutting edge mesh chair is supremely comfortable and ready for the demands of the modern workplace. If you can swing the investment, it's worth it! 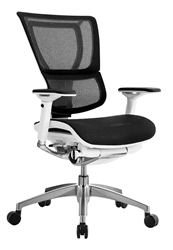 Moving right along, allow us to yet again showcase the iOO chair from Eurotech Seating. It's been one of our favorite chairs to highlight as it's both comfortable and stylish. The iOO is adjustable in just about any and every way you can imagine. 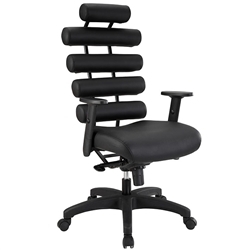 This top of the line office chair is a favorite of millennials looking to find a statement piece for their interior. 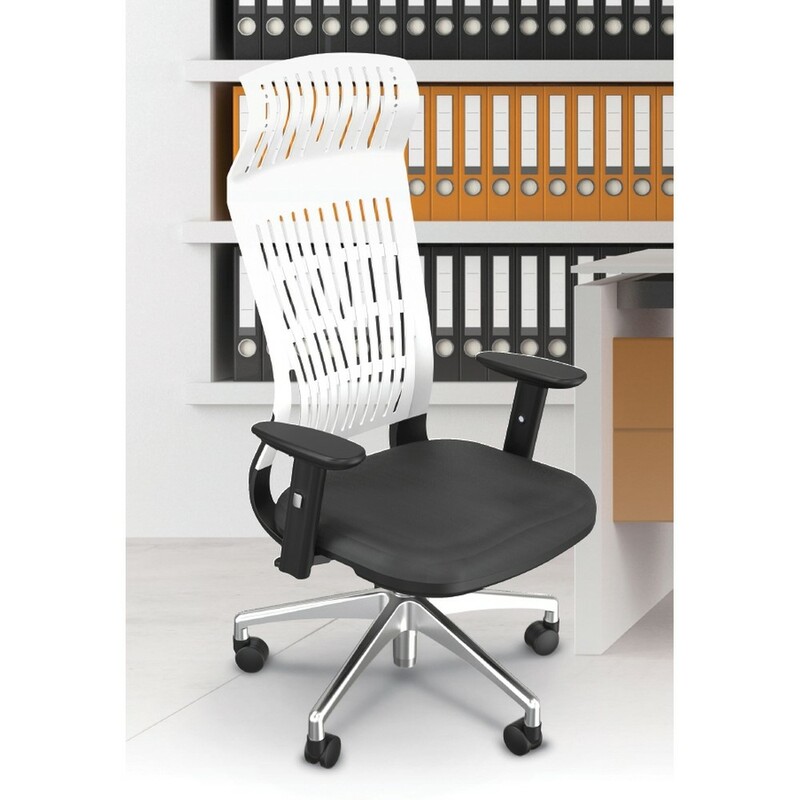 The iDesk Oroblanco has been a top pick of millennial office chair shoppers for the last few years. It's still ahead of its time and a great fit for all day applications. The Oroblanco is equipped with a built in guide for personal adjusting that makes it easy to feel good, look good, and work efficiently. Last but certainly not least, the 11325B model from Offices To Go is going to be a popular office chair for millennials looking for go modern without becoming impractical. 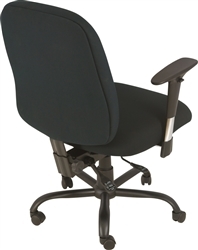 This multi purpose task chair is equipped with an adjustable lumbar support, adjustable arms, and a multi functional mechanism. The ventilated back works to keep users cool during extending computing sessions while the polished 5 star base adds to the modern vibe. At just $235.99, this is going to be one of the hottest chairs of 2018. Office Upgrades: Contemporary Sofas, Height Adjustable Tables, and More! Here at the OfficeFurnitureDeals.com blog we love to keep our valued readers up to date with the latest office design trends. This season, brands like Modway and MooreCo are paving the way with contemporary sofas, height adjustable tables, and much more. Today we'll showcase the hottest new office upgrades on the market. These versatile components will improve corporate appeal and productivity without breaking the bank. Modway crafts some of the coolest sofas on the planet. Take one look at the Engage and you'll quickly see what we mean. 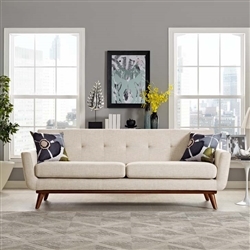 This EEI-1180 model mid century modern sofa is available in a choice of 12 color options that are perfectly complimented by attractive wood legs. The lightly tufted back and comfy cushions work together to provide a comfy sit you won't soon forget. The sit to stand revolution is in full swing. This year, height adjustable tables are becoming incredibly popular as they encourage healthy work habits while simultaneously creating clean sight lines in group work environments like the training room. Our personal favorite is the 90283 model from the MooreCo Nido collection. 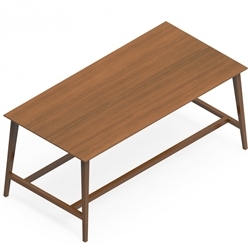 This height adjustable multi purpose table boasts a 72" wide operating surface and a user friendly design that helps reduce energy dips and also improves posture. 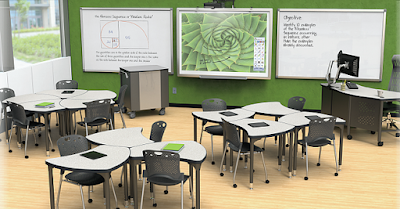 If you're looking to spark creativity while upgrading your training and classroom interiors, Nido tables are a must consider. 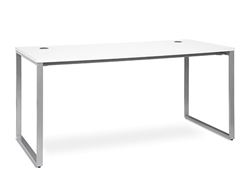 In addition to height adjustable tables, transitional office products have also become incredibly popular. Desktop attachments like the S2S from ESI work with just about any surface you can think of. They'll quickly turn a standard height desk into sit to stand workstation that improve blood flow. 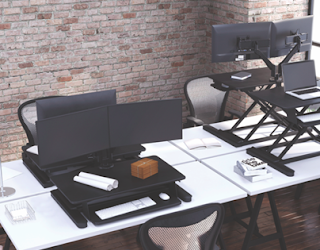 If taking short breaks throughout the day simply isn't possible, you'll want to upgrade your space with a transitional riser, monitor arm, or keyboard tray to prevent the need for extended sits. Mid century modern conference room chairs are also hot! They're sleek, surprisingly comfortable, and far more affordable than those bulky executive style chairs you're used to. A mid century modern conference room office chair like the Hendrix from Woodstock Marketing will do wonders for your meeting area. This designer chair is even equipped with memory foam cushions. Last but not least, gray office furniture is still dominating the market. Finishes like espresso and walnut are also popular, but it's nothing like what we're seeing with gray tones like Textured Driftwood from Mayline. This coastal inspired woodgrain laminate is upscale and luxurious. The gray furniture trend isn't going anywhere in 2018 or beyond. It's a breath of fresh air compared to traditional options like cherry and mahogany. Rest assured, a gray office desk will make your interior feel fashionable, trendy, and inspiring. Additional collections with gray finish options include Medina (which is also from Mayline) and Zira from Global Total Office. 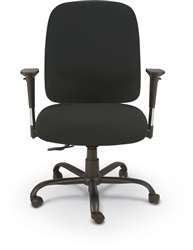 Finding a heavy duty office chair that's built to last is easier said than done. If you're a big guy in search of such a chair, look no further. We've got you covered. The MooreCo Titan series office chair packs a major ergonomic punch and won't let you down during extending sitting sessions. This intensive use chair for everyday tasking is truly a big man's dream. I feel it's worth mentioning that I personally love this chair. I weigh 270 pounds and require a big and tall seating solution. The average chair just won't cut it. I've tried several modern office chairs with over the top design characteristics and they've all pretty much let me down. The Titan chair has stood the test of time in my workspace. It's comfortable, ready to work, and I don't constantly feel like I'm going to break it like most of the big and tall chairs I've previously used. Now that that's out of the way, let's talk about what makes this chair great. First and foremost, the chair itself is ready, willing, and able to support users up to 500 pounds. Most of the big and tall options you'll find are rated for no more than 350. Needless to say, the Titan lives up to its name. 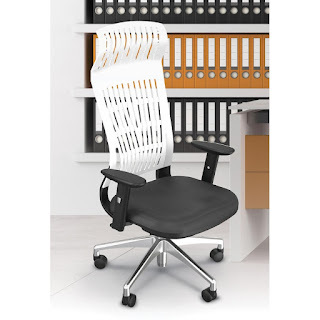 Once seated in this MooreCo office chair you'll quickly find a set of adjustable arms that aren't wobbly and make finding healthy computing positions a breeze. The chair seat and back are firm and supportive, just what us big guys need! 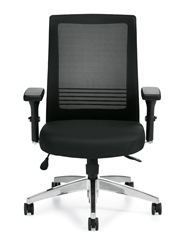 Upon closer inspection you'll find that the Titan intensive use task chair is manufactured with a steel frame. This helps to ensure long term durability and is one of the main reasons you can rely on this chair for 24 hour applications. Additional features include an oversized 5 star base for stability, as well as dual wheel casters for mobility. The multi functional mechanism is equipped with labeled controls that are also a nice touch you won't find on many of today's big and tall chairs. If you're looking to minimize the ergonomic learning curve, the Titan will do it for you. This chair is priced competitively with most of the big and tall options on the market. I do wish it was available in a few more color options, but black is classic and you really can't go wrong with it. The fabric itself feels very durable and what you'd expect on an intensive use seating solution. 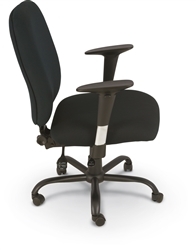 All in all, the 34663-34677 model Titan office chair is a great buy at $425.99.